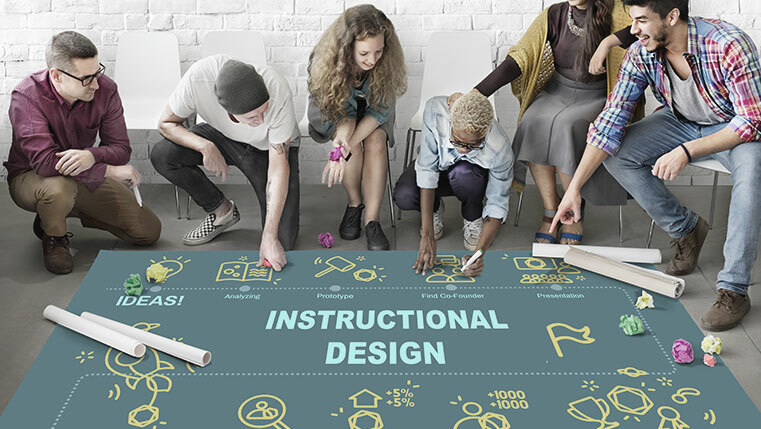 If you are new to instructional design, here are a few tips to help you stay on top of the game. Most of them flow out of the best practices we follow at CommLab India to help our new instructional designers hit the ground running. 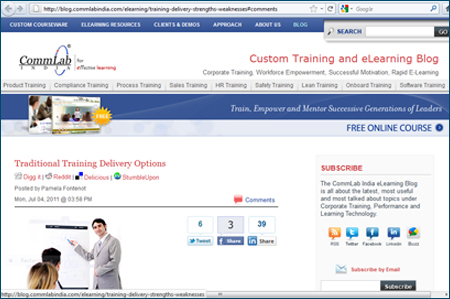 Request for access to your organization’s archived work and check out courses done for customers in the past. This will give you a good idea of the kind of trainings you are likely to develop, so that any future research can be guided by this information. For instance, maybe your organization specializes in product trainings, in which case you can make that the focus of your self-taught training effort. Going through past work will give you a good handle on design standards. Sign up for your organization’s LinkedIn group. It will give you very good insights on the hot topics being discussed, challenges instructional designers face, and possible solutions for these issues. In addition, it also helps to follow discussions in other good communities of practice on LinkedIn, such as that on ASTD or eLearning Guild. This will help you feel the pulse of what’s happening. At CommLab India, new hires are encouraged to not just go through our corporate training and eLearning blog, but also contribute to it. 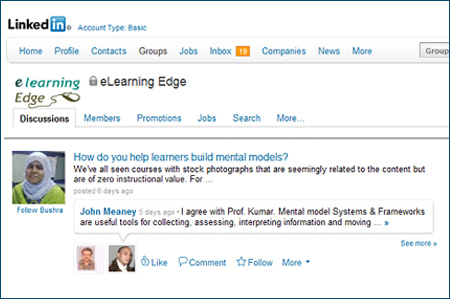 Also subscribe to a few other good blogs in the field of eLearning and development. Some of them such as the Articulate blog are excellent resources, because not only do they talk about creative use of their tool for course development, but they also cover various design topics. If you have a book club where you discuss good books on instructional and visual design, this can be a great platform for sharing ideas and bouncing them off more experienced designers. And because members will be talking about theory against the backdrop of practice in terms of what they are already doing or plan to do as, it will help you apply concepts and ideas effectively when you do get started on your own project. 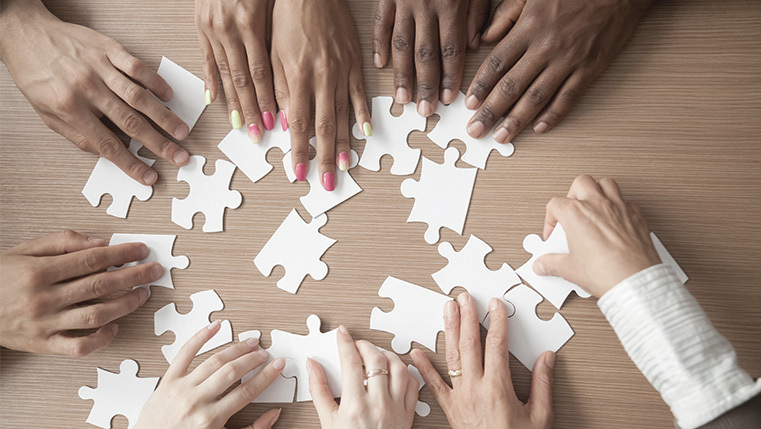 As you spend time with your team, you might come across someone who you would like to learn from. Ask that person if they’d be willing to mentor you. You’ll be amazed at what you can pick up in just a few interactions. You might be a bit overwhelmed by the truck loads of information coming your way. Maintaining a journal where you jot down your ideas can be of great help in dealing with this cognitive overload. In fact, if you can organize your journal into sections, that’s an added bonus. For instance, you could have a section on design ideas, another on visual strategies or interfaces and so on. This could be an online journal if you prefer. 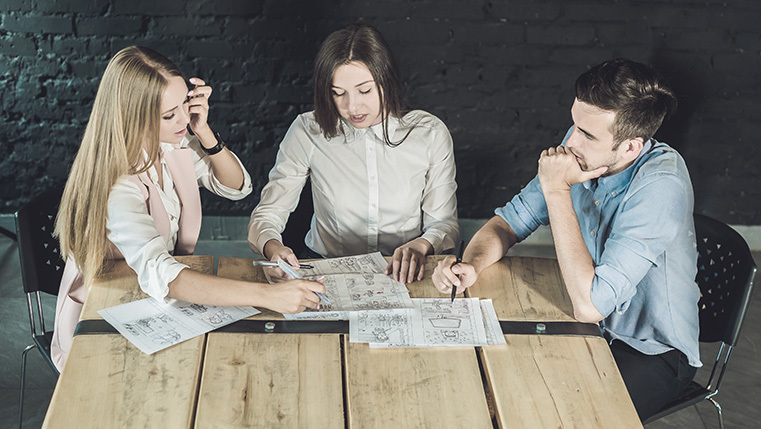 If you haven’t been assigned any project yet and are eager to get involved, check with others on the team if you can help them with any aspects of course development such as storyboarding or helping in QA if there are standard checklists followed. Or maybe you can find out if there are any in-house training presentations you can help contribute to. This will sharpen your instructional and visual strategy skills. Request to see what kind of review feedback is given on past work so that you can begin to get a picture of the kind of standards that are expected at work. Gaining exposure to reviews also helps you develop your own critical faculties as future reviewers. Try and do a review yourself and compare your review against that of the expert reviewer’s. This will help you learn more than any amount of theory ever can. Most organizations have full-fledged eLearning courses that may not be mandatory for your role, and hence you might not receive any notifications or reminders about them. However, the more diverse your exposure to courses in various domains, the more experience you will gain on design and strategy. Try and take as many courses as you can and jot down what you liked or hated about them. This list will serve you well in the future.